Michael Jai White's Black Dynamite follow-up is more of a spiritual sequel, ya dig? 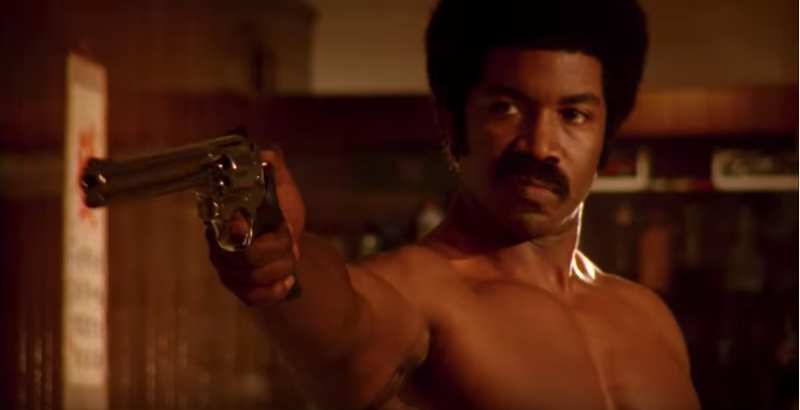 Listen up, jive turkeys: For a couple of weeks now, actor/martial artist Michael Jai White has been teasing some sort of follow-up to his 2009 blaxploitation parody par excellence, Black Dynamite. And today, White gathered all the orphans in his community—i.e., his Twitter followers—around him to reveal what exactly he’s got cooking. Turns out that it’s not a straightforward Black Dynamite sequel, but a new project highlighting another chapter in African-American cinematic history: The Black Western. While Westerns with all-Black casts were being produced as far back as the early 1920s, they saw a renaissance alongside the Blaxploitation phenomenon in the late ‘60s and throughout the 1970s. Superfly director Gordon Parks, Jr. directed one in 1974, a Bonnie and Clyde-esque story called Thomasine And Bushrod, and genre staple Fred Williamson appeared in a whole series of them, making his debut as a producer on 1975's Boss (as it’s called on home video, changed from its original title, which would never fly today). The great Sidney Poitier even made his directorial debut on a Western, Buck And The Preacher (1972), alongside Harry Belafonte and Ruby Dee. Two decades later, Mario Van Peebles notably paid tribute to the Black cowboys of the American West in his New Jack City followup Posse (1993), and Danny Glover starred as a member of the all-Black US Calvary Troop H in 1997's Buffalo Soldiers. So, yeah, there’s a long history to draw from/poke fun at here. White’s tweet implies that a crowdfunding campaign is in the works for Outlaw Johnny Black, and we’ll keep you updated on that when it launches. In the meantime, you know what to do.